Author, poet, and farmer Eugene Charles Dolson was a man who stayed put. He was born on July 2, 1860, in Cayuga County, New York, the son of Samuel Dolson, a farmer, and Mary Elizabeth How Dolson, a farmer's wife. In 1870, the family was in Conquest in Cayuga County. 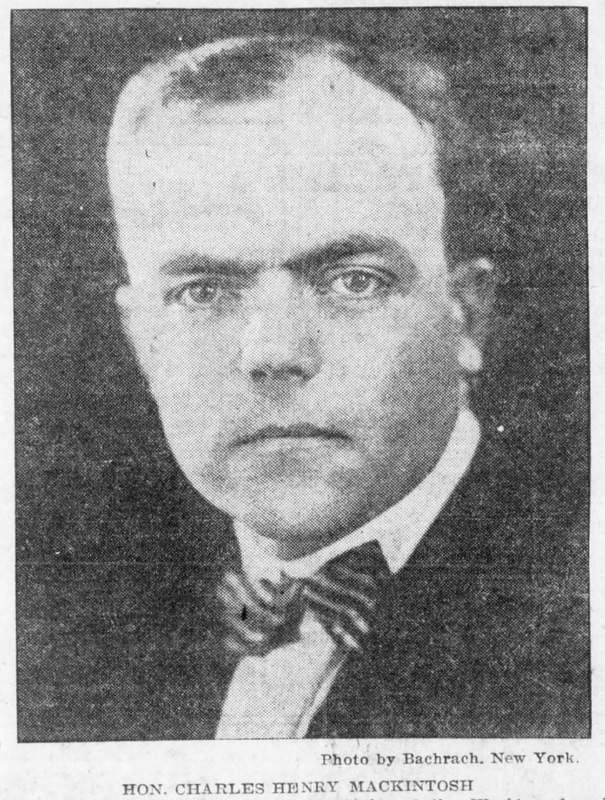 From as early as 1892, Eugene Dolson lived in Ira, also in Cayuga County. The enumerators of the New York State and the Federal censuses found him there until his death in 1938, and that is where he rests, at Union Cemetery. The woman with whom he spent his life was fellow poet Cora Adele Matson Dolson (Jan. 7, 1859-1936). They were married on November 25, 1896, the day before Thanksgiving, in Conquest. Although she died two years before him, their union remains unbroken among the white stones of Union. All, all around in the close cut sward. Over their graves white stones keep guard. 'Tis a peaceful scene all summer long. And silent, save for the robin's song. The graves on the hill are green today. There's a little fluttering flag in sight. Night and day, where a soldier sleeps. Not much, but keep looking. 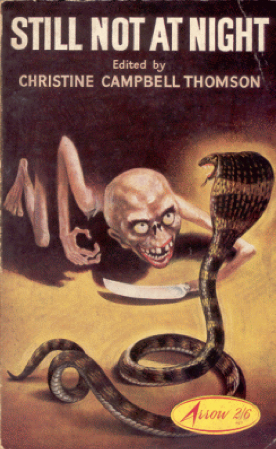 Late last year, a reader named Simone Fazzi let me know that there was another Italian writer published in Weird Tales after Giovanni Magherini Graziani. I have stayed away from the Weird Tales issued after the Bellerophon issues of 1984-1985, but I'll make an exception here for an author from a paese meraviglioso. I would like to say grazie to Signor Fazzi for bringing him to my attention. Roberto Quaglia was born in Italy in 1962. I don't know the particular date or place, but from 1995 to 1997, he was a councilor in Genova. His stories and other works are listed on The Internet Speculative Fiction Database, while a brief, incomplete, wholly inadequate, and typically Wikipedian biography is shown on Wikipedia. With British science fiction writer Ian Watson (b. 1943), Signor Quaglia contributed one story, "The Grave of My Beloved," to Weird Tales, to the March-April issue of 2006. That story is part of the "My Beloved" series, which were collected in The Beloved of My Beloved (2009, with Ian Watson). 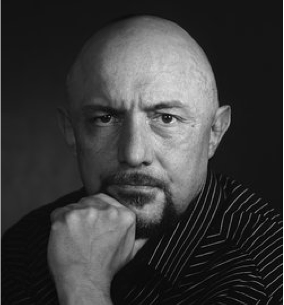 Signor Quaglia is also the author of the novel Paradoxine: The Adventures of James Vagabond (2009) and a number of works of non-fiction. He has been active in science fiction circles in Europe. Leslyn M. MacDonald (also spelled, erroneously, McDonald) was born on August 29, 1904, in Boston, Massachusetts. Her father was a Canadian, her mother a Bostonian. Early in life, Leslyn moved to California with her family. That's where she lived and that's where she died. For some reason, as I write this, I sense a pall over her life. That may be just my imagination. But she was once young and beautiful. She had dreams of love and all the other things of which we dream. She wrote poetry, went to the university, acted on stage, and was married to one of the greatest of all science fiction writers. They slept together on the night they met, he proposed to her the next morning, and they remained together for a decade and a half before infidelity, heavy drinking, divorce, and other everyday dramas brought an end to it all. Leslyn remarried. Her second husband, like her father, worked in a hotel. He died in middle age. She survived but has slipped from memory. Maybe we owe her something a little better than that. Leslyn MacDonald's father, Colin MacDonald, was born in Sidney Mines, Nova Scotia, on October 17, 1873. He came to the United States sometime around the turn of the century and was naturalized as an American citizen on May 13, 1901, in Boston. A little more than a year and a half later, on September 3, 1902, he married Florence Caroline Gleason in Worcester city or county. Born on April 8, 1883, in Westborough, Massachusetts, she was ten years his junior and had just turned eighteen. I had no idea what the "large Cravath cottage" might have been, but I did a search for "Cravath" and "Laguna Beach," and I feel pretty confident in saying that the reference is to professional baseball player Clifford "Gavvy" Cravath (1881-1963), who was a real estate developer in Laguna Beach. The "two children" in the article were of course Leslyn, then aged twelve, and Keith, then aged ten. When "Freedom" was reprinted (in the Concordia Blade-Empire of Concordia, Kansas) on September 20, 1920, Leslyn was barely past fifteen. I'm no critic of verse, but it seems to me a work of sophistication rare for a teenaged poet. 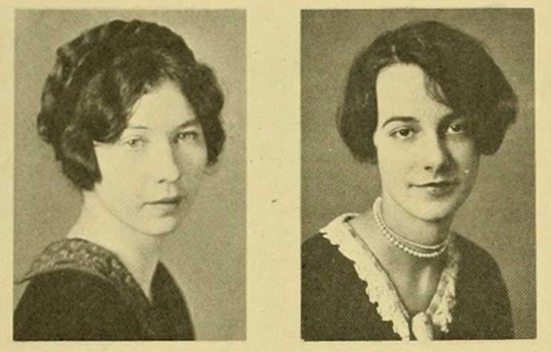 Left, Agnes De Mille (1905-1993), and, right, Leslyn MacDonald (1904-1981) in the University of California, Southern Branch, yearbook, 1926. According to the Wikipedia biography of Agnes De Mille, she was not considered pretty enough to be an actress, so she became a dancer instead. (1) Leslyn MacDonald, on the other hand, did become an actress, if only for a little while. In August 1924, she appeared in A Midsummer Night's Dream under the direction of Madame Margarita Orlova, a play staged at Madame Orlova's beachfront Woodland theater in Laguna Beach. 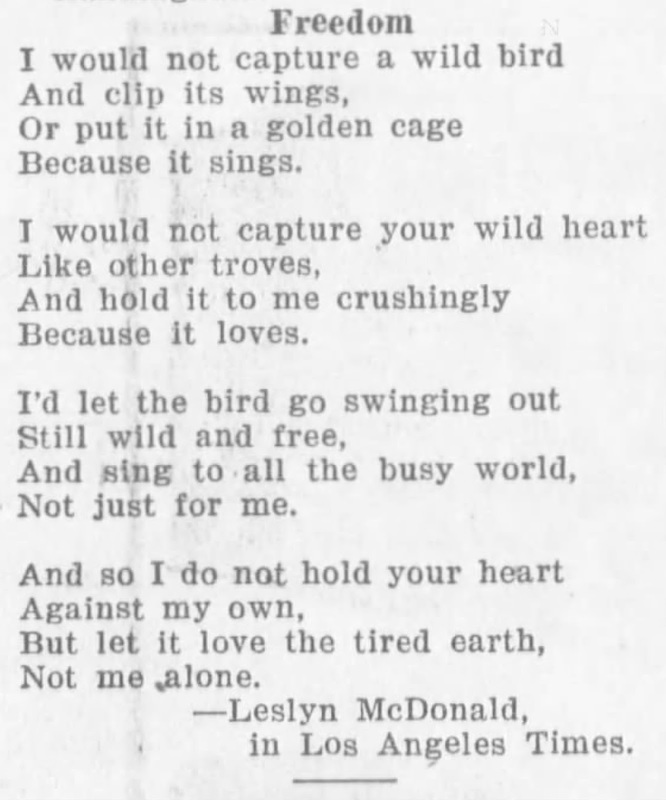 (2) The Santa Ana Register observed that Puck was "very prettily played by Leslyn MacDonald of Laguna Beach" (Aug. 19, 1924, p. 14), while author and screenwriter Elinor Glyn remarked, "I have seen 'The Dream' on several occasions, but I have never seen a more charming Puck" (Santa Ana Register, Aug. 22, 1924, p. 12). For a season at least, Leslyn was a star. She later acted with the Pasadena Playhouse (1927), directed experimental theater, and worked in the music department at Columbia Pictures. Leslyn graduated from the University of California with a degree in philosophy and a minor in drama, presumably in 1926. She took her master's degree from the University of Southern California in 1930. Again, the subject was philosophy. The enumerator of the 1930 census found Leslyn living in Los Angeles with her cousin, engineer Chester S. Beard, and his family. She was then working as a teacher in the public schools. Meanwhile, another star was on a collision course with hers. His name was Robert Anson Heinlein, and in the early 1930s, he was married, soon to be divorced, still in the U.S. Navy, but before the decade was out, ex-Navy and a published writer of science fiction. He and Leslyn were introduced in January 1932 by Heinlein's friend Cal Laning. Despite the fact that she was Laning's girl, Heinlein took her to bed that first night, then married her on March 28, 1932. There is a wedding picture of the couple, with Heinlein in his regalia and a very slight Leslyn at his side, here. Heinlein had his peculiarities: he was a nudist and a wife-swapper. Leslyn cared for neither activity. But she was an inspiration to her husband and devoted to his career and interests. 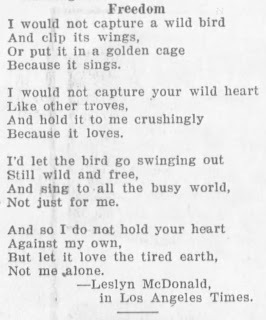 Her poem "Freedom" from 1920 may very well have been a prophecy of their lives together. Those letters would have come, of course, after Heinlein and Leslyn had divorced. That unhappy event occurred in 1947 after fifteen years of marriage. In 1948, Heinlein remarried. Leslyn also remarried. Her second husband was Jules G. (or Jewel G.) Mocabee, born on February 10, 1919, and a U.S. Army veteran of World War II despite weighing only 117 pounds at his enlistment. Like Heinlein, he was a native Missourian (possibly from New Madrid County). Mocabee received only a grade-school education and seems not to have been very gainfully employed. If the abbreviation "pdlr" stands for "peddler," then he was a peddler. He also worked at a place called the Morningside Inn in Stockton, California. He only made it to age forty-seven, dying on October 10, 1966, in San Joaquin County, California. That very likely left Leslyn Mocabee alone, for she seems not to have had any children, and her only sibling, her sister Keith MacDonald Hubbard, had died on August 9, 1949, in Orange County, California. Her father, Colin MacDonald, had also been gone many years, having died of cirrhosis of the liver in 1929. I don't know when her mother, Florence MacDonald--nicknamed "Skipper" by the way, and a Theosophist--died, but I have a feeling it came in the 1940s as Leslyn's marriage to Heinlein was unwinding. Sad, wistful, lonesome. And though her life ended in 1981, a pall of sadness remains, even today. So my feeling that Leslyn MacDonald lived an unhappy life has been borne out by the research I have done for this article. Described by Heinlein's biographer William H. Patterson, Jr., as "a very slim, intense dark-brunette with medium complexion, lively and attractive, not quite five feet, one inch tall" and as "an unusual woman--astonishingly intelligent [and] widely read," she deserved better. Some sources on the Internet suggest that her drinking and her purported separation from reality contributed to her failed marriage to Robert A. Heinlein. There was a history of drinking in her family to be sure. And her mother, being a Theosophist, subscribed to some pretty kooky beliefs. Leslyn must not have had a very good start. But what kind of husband is a nudist and wants to swap wives? And what effect must those things have on a woman who devoted herself to her husband? No one knows the mysteries of another person's marriage, but let's be kind to Leslyn MacDonald and give her at least some benefit of the doubt. Instead of remembering her as the distaff side and possible cause of Heinlein's second failed marriage, let's remember her as a poet and a woman, as a thinker and a muse, and as a lover and a human being, and let's remember the behind-the-scenes contribution she made to science fiction in America. Robert A. Heinlein: In Dialogue with His Century: Volume 1: Learning Curve 1907-1948 by William H. Patterson, Jr. (Macmillan, 2010), here. (1) Agnes De Mille, by the way, was the daughter of William C. De Mille, niece of Cecil B. De Mille, and granddaughter of Henry George, for whom Volney George Mathison was named (in part). (2) Margarita (also spelled Marguerita) Orlova, was an actress and a self-proclaimed Russian princess. She was more likely just an American pretender to her title, name, and nationality. Madame Orlova later was half-owner of Sherwood Forest, an artist's colony located on the opposite coast, in Oakland, New Jersey. (3) From All Our Yesterdays by Harry Warner, Jr., (Chicago: Advent, 1969), p. 103. (4) From "The Wives (and Drives) of Robert Heinlein: Leslyn" by Frederik Pohl on his blog, The Way the Future Blogs, dated May 19, 2010, here. A man named Charles Henry Mackintosh wrote for Weird Tales and another man named Charles Henry Mackintosh was an Anglo-Irish preacher of the nineteenth century. They were two and not one, though the second (chronologically) was likely named for the first. The first Charles Henry Mackintosh was born in Ireland in 1820 and died in England in 1896. The second was born on March 4, 1885, in England and died on February 16, 1947, in Daytona Beach, Florida. That Charles Henry Mackintosh arrived in the United States in 1907 and lived in Duluth, Minnesota, from about 1909 to about 1917. When he filled out his draft card in September 1918, he was living in Washington, D.C., and working as an editor for the Federal government. (A contemporary article says that he came from the "northwest" to work in the nation's capitol. I guess if you live on the eastern edge of the continent, Duluth is in the northwest.) I believe Mackintosh's work was for a publication called Four Minute Men News, of which he is known to have been editor. He was also chairman of the Four Minute Men organization. The Four Minute Men is new to me. I had never heard of it before and I had to read up on it in order to write about it here. And I had to translate a German-language Wikipedia page to do it. (Sometimes the Internet reminds me of the pterodactyls on The Flintstones, chiseling out words on stone tablets. That's how primitive the thing is.) Anyway, the Four Minute Men was a volunteer organization of speakers who worked for the Committee on Public Information, more or less a propaganda arm of the U.S. government, and who spoke on the war effort during the four minutes it took to change reels in the nation's movie houses. Charlie Chaplin was probably the most famous four-minute man. Mackintosh's work for the organization probably lasted for as long as the Four Minute Men lasted. If I read the German Wikipedia page correctly, the last talk took place on Christmas Eve 1918 with a tribute to the Allies who had prevailed in the Great War. Charles Henry Mackintosh did all that work for a country not yet his own: he became a naturalized citizen on September 21, 1920, in Illinois. He lived in Chicago in the 1920s, and in Daytona Beach, Florida, in the 1930s and '40s. He seems to have called Honolulu home for a while as well. While in Duluth, he was chairman of the Stewart-Mackintosh Company. Upon returning to civilian life after the war, he served as president of the Direct Mail Advertising Association, president of the Associated Advertising Clubs of the World, and general sales and advertising counsel for Lasalle Extension University. In those capacities, he toured the country giving public addresses. He seems to have been a man made for the go-get-'em attitude of the 1920s. His story "Guardians of the Guavas," from Weird Tales, September 1930, was reprinted in At Dead of Night, edited by Christine Campbell Thomson (aka Flavia Richardson) and published in 1931. Charles Henry MacKintosh died on February 16, 1947, in Daytona Beach, Florida. I didn't find much on Mackintosh except for lots of articles about his public appearances, but keep looking. Maybe you'll find more than I did. In the classic screwball comedy of the 1930s and '40s, a wild or headstrong young woman, often an upper-class young woman, takes everything and everybody around her by storm. I don't know the origins of the screwball comedy heroine, but it seems likely that she was the younger sister of the 1920s Flapper, who was probably, in turn, the daughter of the more subdued Gibson Girl from the previous generation. The Gibson Girl, the Flapper, the heroine of the screwball comedy--all were from what is perhaps a unique breed, the liberated American woman. For a decade or more, from the end of the Great War to the beginning years of the Great Depression, they held wild parties, drank like fish, tooled around town and country in their roadsters, went on scavenger hunts, engaged in drug use, and carried on sexual affairs with abandon. Like Edna St. Vincent Millay, they burned their candles at both ends. But then, according to Mr. Johnson (no pun intended), it all gave out with the excesses of a Masque-of-the-Red-Death-type party called the Red and White Ball, held in November 1931. Maybe, too, the Bright Young Things weren't so young anymore. And maybe their brightness came from a fast-burning and all-consuming flame. Lady Eleanor Smith was one of them. 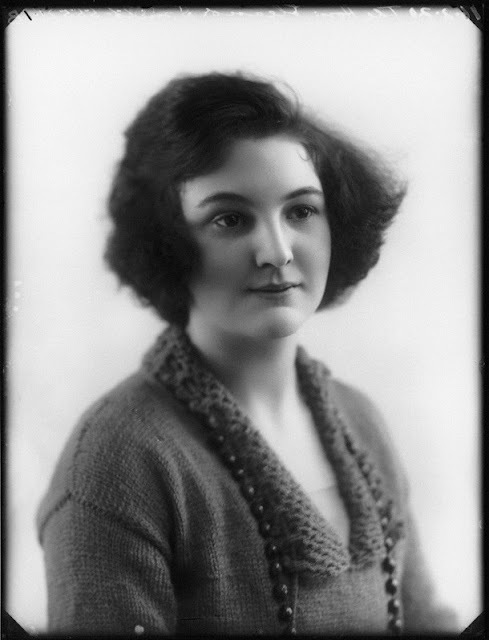 Born Eleanor Furneaux Smith in 1902, she was the daughter of Frederick Edwin Smith, 1st Earl of Birkenhead (1872-1930), and Margaret Eleanor Furneaux, daughter of a classical scholar. Like his daughter after him, F.E. Smith was a hard liver--and it proved hard on his liver, for he died of the effects of cirrhosis at age fifty-eight after many decades of heavy imbibing. Two pieces of trivia about him: First, he successfully defended Ethel le Neve, mistress of bug-eyed murderer Dr. Hawley Harvey Crippen, whose story was a weird tale if ever there was one. Second, F.E. Smith published a utopian novel, The World in 2030 A.D., in 1930, the year of his death. Lady Eleanor Smith attended day school in Queen's Gate with two other Bright Young Things, Zita and Teresa, the Jungman Sisters. She didn't like school and in fact didn't seem to like strictures of any kind. The whole mess of them, all the Bright Young Things, inspired Evelyn Waugh’s novel Vile Bodies, published in the same year as The World in 2030 A.D. and only a year short of the Red and White Ball. By that time, Lady Eleanor Smith had already begun delving into her twin obsessions, both of which are about performers and outsiders, this in a woman who was--as an early celebrity--something of a performer and--as an aristocrat--an insider. I wonder now whether that first generation of postwar upper crust would have seen themselves as insiders, or if they, as aristocrats tend to do, sought to escape from their insular and bored lives by literal and figurative slumming, of descending into the low life of the common people. Many of those books were adapted to the silver screen. Look for Lady Eleanor in The Internet Movie Database. "Portrait of a Strong Man"
In 1934, Bobbs-Merrill reprinted Satan's Circus for American readers and included a new story, "Whittington's Cat." The title story, "Satan's Circus," was printed in Weird Tales in October 1931. Lady Eleanor had another genre story, "No Ships Pass," in the 1947 collection Travelers in Time, and a fairy tale, "The Little Mermaid," in The Fairies Return, or, New Tales for Old by Several Hands (1934). In the end, time and death do us all in, even Bright Young Things. Lady Eleanor Furneaux Smith, barely into middle age, died on October 20, 1945, in Westminster, England. "A Good Turn," review of Life's a Circus: The Reminiscences of Lady Eleanor Smith in The Tablet: The International Catholic News Weekly, August 5, 1939, here. (1) Quote from "Bright Young Things" by Ben Johnson on the website Historic UK (undated), here. Lady Eleanor Furneaux Smith (1920), from the National Portrait Gallery. Update (Mar. 22, 2019): "No Ships Pass" by Lady Eleanor Smith was also in The Haunted Dancers, edited by Charles Birkin and published by Paperback Library in 1967. The cover artist was Victor Kalin. 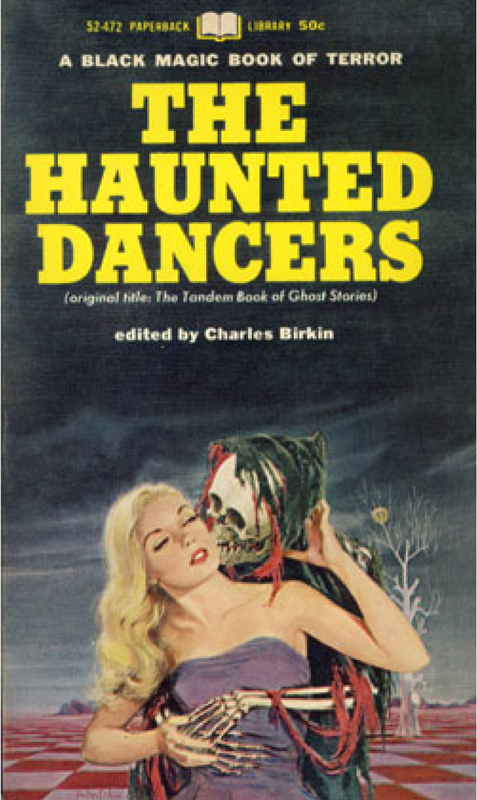 The Haunted Dancers was a reprint of a British edition, The Tandem Book of Ghost Stories, published in 1965 with a far less lurid, thus less fun, cover. Thanks to the anonymous commenter (below) for the additional information. I assume that Dorothea Gibbons was the well-known British author Stella Dorothea Gibbons, in which case I'll offer a few facts and then refer you to her biography on other websites, including Wikipedia. Stella was born on January 5, 1902, in London and was educated at home, at the North London Collegiate School, and at University College, London. After receiving her diploma in 1923, she went to work for British United Press, later for the London Evening Standard and The Lady. She wrote verse, short stories, book reviews, novels, and a children's book. (Some of her stories have supernatural elements.) Her 1932 novel Cold Comfort Farm won Stella Gibbons her fame, which remains today, even more than a quarter-century after her death. So here's the part that doesn't fit: By the early 1950s, Stella Gibbons was the renowned author of more than a dozen books. Why would she write for a low-budget and rapidly declining American pulp (or digest-sized) magazine like Weird Tales? I have two suppositions and one slight bit of evidence. First, suppose that Dorothea Gibbons' three stories for Weird Tales were reprints of earlier works by Stella Gibbons or extracts from her novels and not original to the magazine at all. Second, suppose that she and Dorothy McIlwraith, the editor of the magazine, were in contact, Dorothy being a Canadian of Scottish extraction who had an interest in the literature of her family's homeland, especially literature by women. Third, as evidence, consider that the British author and artist Reggie Oliver (b. 1952) wrote an essay called "Stella Gibbons, a Writer and the Supernatural," published in his book Madder Mysteries in 2009. I don't know what that essay holds, as I have not read it, but maybe the mystery of Dorothea Gibbons can easily be solved by consulting it. I hope someone will do that and let us all know. On May 14, 2016, I wrote about Christine Campbell Thomson, editor of the Not at Night series of weird tales in hardback. Today I'll write a little on her first husband. He was born Richard Martin Oscar Cook on March 17, 1888, in Tollington Park, Islington, England. From 1911 to 1919, Cook served in the British civil service in North Borneo. By 1920, he was back in his home country. In the early 1920s, he wrote about his experiences in Borneo. In the process of having his book published, Cook met Christine Campbell Thomson (1897-1985), a literary agent and editor. She had the book placed with the house of Hurst & Blackett, and it was published in August 1924 as Borneo: The Stealer of Hearts. Cook had still more stories of Borneo published in The Blue Magazine, Hutchinson’s Adventure-Story Magazine, Hutchinson’s Mystery-Story Magazine, and The Novel Magazine. He and Christine were married on September 30, 1924, in London and divorced more than a decade later, in 1937 or 1938. I don't suppose that anyone now knows what relationship Christine Campbell Thomson had with Farnsworth Wright, editor of Weird Tales from 1924 to 1940. Suffice it to say that of the 170 stories published in the Not at Night series, 100 came from Weird Tales; that the Not at Night series (1925-1937) was published during the years that Wright was still editor and Weird Tales was still based either in Indianapolis or Chicago (1924-1938) and had not been sold to Short Stories, Inc., or had moved to New York City; and that Christine secured for Wright a number of stories by British authors--including herself and her husband--for publication in Weird Tales. I wonder if she was on the lookout for stories by Continental authors as well and whether that's how certain stories by such authors ended up in the pages of the American magazine. I wonder, too, if she ever traveled to the United States, and if so, if she ever met her American counterpart. His story "Boomerang," retitled "The Caterpillar," was adapted to television in Rod Serling's Night Gallery and broadcast on March 1, 1972. Cook was also author of the novel The Seventh Wave (1926) translated into Dutch as Gij zult niet. Oscar Cook died on February 23, 1952, in Kensington, England, at age sixty-three. See the list of short stories above. See Douglas A. Anderson's blog Lesser-Known Writers for April 3, 2012, here. Christine Campbell Thomson was the editor of eleven collections of weird tales and the author of at least eleven weird tales of her own. She was married more than once, but her name at birth seems to have been Christine Mary Campbell Thomson. (Her husbands were named Cook and Hartley.) If Christine Mary Campbell Thomson was indeed the later editor of weird tales, then she was the daughter of Herbert Campbell Thomson and Constance Emily Temple Thomson, and she was born in Marylebone in London. In 1911, that same girl lived with her family at 34 Queen Anne Street, not far from Sherlock Holmes' residence at 221B Baker Street, also in Marylebone. Christine Mary Campbell Thomson was born on May 31, 1897, in London. She was educated at Queen's College and by age thirty was a published author and the editor of a series called Not at Night, named after the first volume in the series, from 1925. There were eleven books in the Not at Night series, plus an omnibus edition (published in 1937), an American edition (1928), and four (or six) reprint editions from many years later. The lists that follow are from The Speculative Fiction Database. Any transcription errors are my own. The odd thing about all this is that the stories from the series were drawn for the most part from an American magazine, none other than Weird Tales. Mike Ashley is a historian of science fiction. By his count, there were 170 stories in the Not at Night series, of which 100 (or 59 percent) came from Weird Tales. So in the 1960s, readers could catch up on reprints from a British series from the 1920s and '30s, which were in turn reprints from an American magazine of that same period, and at least one of which, "Out of the Earth" by Christine Campbell Thomson (writing under a pseudonym), was originally in a British magazine. You'll understand why I'm not going to catalogue the stories from the Not at Night series. If a sketchy website is a reliable source of information, then Christine Campbell Thomson registered her firm, Campbell Thomson and McLaughlin Limited, on March 19, 1932, with offices in Arsenal, London--if I interpret the thing correctly. Campbell Thomson and McLaughlin was a literary agency and its founder a literary agent. The firm was subsumed by The Marsh Agency Limited, also of London, a firm still in existence. Even before she established her own firm, Christine worked as a literary agent. Among her clients was Richard Martin Oscar Cook (1888-1952), who went by the truncated name of Oscar Cook. Just back from Borneo in the early 1920s, he went to Christine Campbell Thomson for help with his memoir of the Orient. She retitled it and the book was published as Borneo: The Stealer of Hearts in August 1924. On the last day of the following month, she and Cook were married. It was his firm (he was a part owner, I think), Selwyn & Blount Limited, that published the books in the Not at Night series, as well as Christine's novel, His Excellency (1927). She also wrote the novels The Incredible Island (1924), Port of Call: Love and Murder in Algeria (1936), Hawk of the Sahara (1939), and In a Far Corner. And she contributed to the Daily Herald, Evening News, Glasgow Herald, Newcastle Sunday Sun, Star, and other papers. You can find out more about the writing couple on Douglas A. Anderson's blog, Lesser-Known Writers, here. There you will read that Oscar Cook and Christine Campbell Thomson had one child, a son named Gervis Hugh Frere Cook (later Frere-Cook), born on July 12, 1928. He was also a writer, but his career was cut short with his death late in 1974. Finally, Christine Campbell Thomson Cook Hartley was an occultist, a friend of Dion Fortune (1890-1946), and a member of the Society of the Inner Light. She died on September 29, 1985, at age eighty-eight. 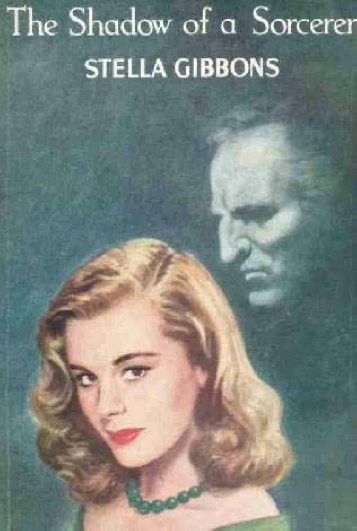 You can read about Christine Campbell Thomson and her husband Oscar Cook on Douglas A. Anderson's blog, Lesser-Known Writers, here, and on the website Vault of Evil: Brit Horror Pulp Plus!, here. Otherwise, the pickings seem to be pretty slim for such a significant figure in the history of weird fiction in Great Britain. Five years ago, I wrote an entry called "Women Writers in Weird Tales" in which I gave some figures from Eric Leif Davin's book Partners in Wonder: Women and the Birth of Science Fiction, 1926-1965 (2006). Among those figures is a list of the most prolific women writers of fiction in the pages of Weird Tales. Third on that list, after Allison V. Harding and Mary Elizabeth Counselman, is G.G. Pendarves. I believe that Allison V. Harding was actually a man, actually the associate editor of Weird Tales, Lamont Buchanan. If that's true, then G.G. Pendarves had the second-most stories in Weird Tales among women. And yet very little to nothing is known of her. G.G. Pendarves was the nom de plume of Gladys Gordon Trenery. I hesitate to call it a pseudonym as it could easily have been her married name. No one seems to know. No one knows her birthplace, either. According to the Internet Speculative Fiction Database, she was born in Cornwall. An index of births in England and Wales gives a Gladys Gordon Trenery as having been born in Lancashire in January 1885. The 1901 Census has her living in Birkenhead, Cheshire, with a birthplace in Stonycroft, Liverpool. That Gladys Gordon Trenery was sixteen years old at the time and living in a large household that included Grace H. Trenery, age fifty-five, and Elizabeth B. Trenery, age fifty-three. There were Trenerys in Cornwall to be sure. Maybe that was where the family originated before moving to Merseyside or its adjoining counties. It seems safe to assume that either Grace H. or Elizabeth B. Trenery was her mother. Look for reprints of G.G. Pendarves' stories in various anthologies and reprint editions, including in The Eighth Green Man (and Other Strange Folk) (1989). 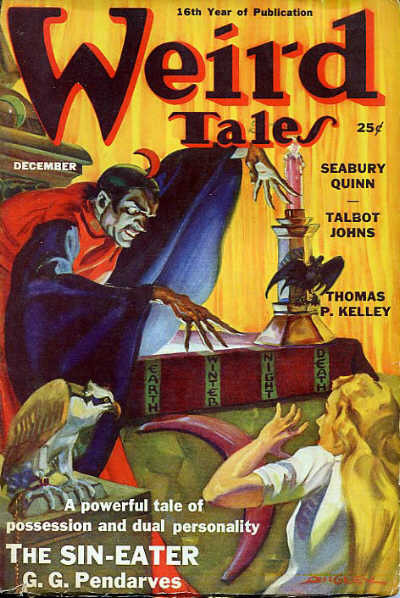 The title story was one of only five stories reprinted twice in Weird Tales. "The Sin-Eater," also by G.G Pendarves, was another. *Revision (Oct. 17, 2017): The death date for Gladys Gordon Trenery as given here is in fact correct. I have from R. Alain Everts a document that confirms it. Thanks to RAE.